First-generation home security cameras 6 Creative Uses for Wireless Surveillance Cameras in Your Home 6 Creative Uses for Wireless Surveillance Cameras in Your Home Security cameras are useful for more than just surveillance. With a dash of creativity and elbow grease, you can kick your quality of life up a notch with these atypical ideas for your security cameras. Read More had many flaws, including connection issues and poor video quality. They were also rather dull looking. Security cameras have improved significantly over time. Most are now wireless and run on your home’s Wi-Fi network. Most capture HD video. And current-generation cameras have been designed to look much better inside and outside the home. First introduced in 2015 Canary Home Security System Review and Competition Canary Home Security System Review and Competition Canary is finally here: "the first smart security device for everyone". Is it the last word in affordable home security and monitoring systems, or just another overpriced and glorified webcam? Read More , Canary is three products in one, slick design. Along with being an HD video security camera, the device also serves as an alarm and an air quality monitor. About the size of a can of soda, although slightly longer, Canary looks a lot like the new Amazon Tap. At least the black model. It comes with a 1080p HD camera with 147-degree wide-angle lens, automatic night vision, and motion detection. Canary uses your phone’s location to determine whether you are at home. When you’re not, it will send motion alerts to your phone. Knowing this information is important because Canary arms itself automatically. If you were to receive a motion alert and notice that there is a problem, Canary offers two solutions to resolve the issue. You can either sound the alarm remotely or push the emergency call button in the app. Canary is $199 and available in black or white. Optional service plans add more features such as unlimited video recording. In June, the company announced plans for Canary Plus, which works with Apple’s HomeKit. It arrives this fall. The Withings Home is one of the most popular security cameras on the market. It also adds a modern look to any room. Like Canary, Withings Home features both a security camera and an air quality sensor. From the free Withings Home app, you see tiny fragments that contain video and sound for each time the device hears a sound, senses motion, or detects unhealthy air levels. Withings Home is $199. Optional subscriptions are also available. The Ulo Surveillance Camera is perhaps the most beautiful product on our list. 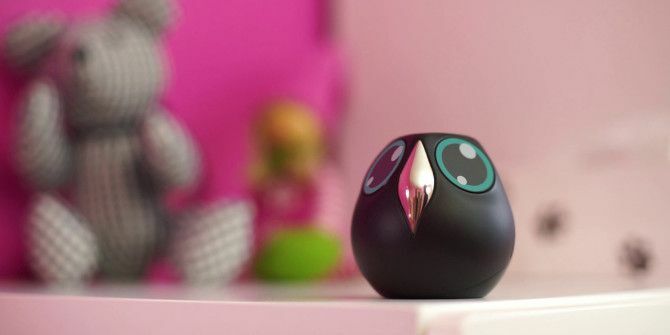 In the shape of an adorable pet owl, Ulo interacts through eye expressions. But don’t let the cuteness fool you, as the Ulo packs a lot of features inside its tiny body. Within the Ulo beak, you’ll find a two-way mirror with a camera and motion sensor. Below this is a small microphone. Inside the device, is a speaker, an orientation sensor, and Wi-Fi connectivity. 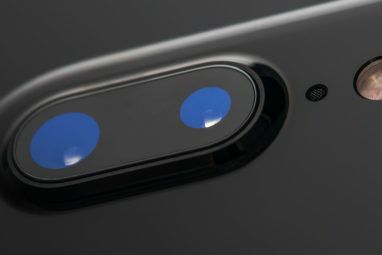 On the top, you’ll find a capacitive button. The eyes, which you can customize for color, size, and shape, provide an LCD screen. When you leave your home, Ulo automatically sends you GIF updates to your email, or you can use a free app for a live view. Successfully funded through Kickstarter, Ulo launches in early 2017 for around $220. Piper nv is perhaps the geekiest looking camera on our list, and we mean that in a good way. Another all-in-one solution, the Piper nv is considered the first ever 180-degree night vision HD camera. With live and recorded video, instant mobile alerts, Z-Wave home automation and an extensive list of environmental sensors, Piper nv is an excellent choice for a home or office. Available in black or white, Piper nv is $279. For those who don’t need night vision, Piper Classic is $199. You get all of the available features without buying a service plan. Our last indoor security camera is also a very popular choice 6 Smart Home Gadgets You Should Install Before Leaving For Summer Vacation 6 Smart Home Gadgets You Should Install Before Leaving For Summer Vacation When you leave home for vacation, these six smart home products will prevent the damage done by fire and flood, protect you against any burglars, and are absolutely worth the money. Read More and comes with many options. Google’s Nest Cam features a modern design that is subtle enough to blend into the rest of your modern home’s surroundings. Offering 1080p HD video, Nest operates when you’re away automatically using your phone’s location. With 24/7 live streaming, advanced night vision, and motion and sound alerts, Nest Cam offers home security no matter where you are in the world. Not surprisingly, Nest Cam works well with the Nest Thermostat 13 Things You Didn't Know You Could Do With a Nest Thermostat 13 Things You Didn't Know You Could Do With a Nest Thermostat You may be surprised just how many little tricks you can accomplish with your new Nest thermostat! Read More . For example, every time your Nest Thermostat is set to away, the Nest Cam can automatically turn on. Switch your thermostat to Home, and Nest Cam will turn off again. Nest Cam is available for $199. Optional service plans are offered. The Skybell HD Wi-Fi Video Doorbell isn’t on our list because of what it looks like, but rather that you really can’t see it at all. Sometimes this is best, especially for outside cameras. As its name suggests, the Skybell is one of a growing list of products What Is A Smart Doorbell, And Which Should You Buy? What Is A Smart Doorbell, And Which Should You Buy? Doorbells that provide two-way communication, allow for remote monitoring, and send alerts directly to your smartphone? We're not talking about the future – all of this (and more) is already possible using smart doorbells. Read More that are both an outdoor video camera and a doorbell. The device features 1080p high-definition video and works in concert with IFTTT, Amazon’s Alexa, and Google’s Nest. On the downside, it doesn’t work with Samsung’s SmartThings or with Wink. The integrated doorbell is available through Skybell in brushed aluminum, and oil rubbed bronze for $199. Kuna offers a diverse line of cameras that replace your home’s traditional outdoor lighting. With Kuna, you can keep track of who’s at your front door, or expand its reach to take real-time HD video of your entire house. It also works well as a dog sitter for whenever your furry friend is outside in the yard. Security cameras provide many features including live video, alarms, and air quality monitoring. Until recently, however, these cameras weren’t considered stylish. Which security system to you use in your home? The Ulo Surveillance Camera is super cute!